From the BBC. There are many more pictures in the original article. 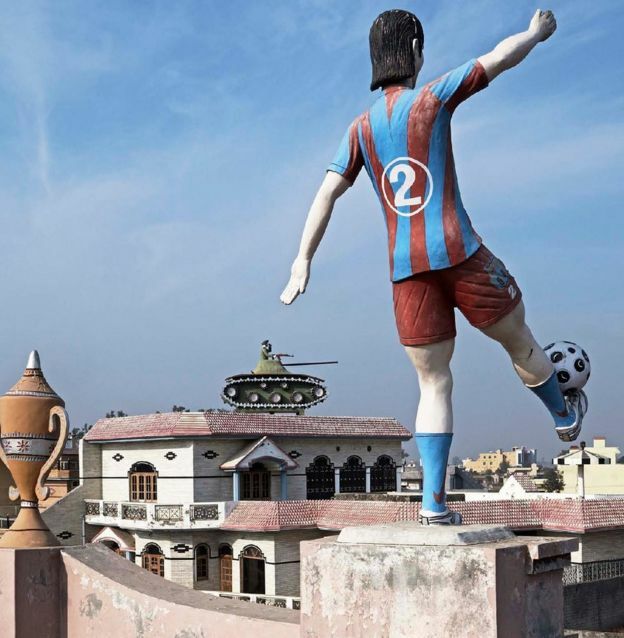 Photographer Rajesh Vora has been fascinated with the variety of sculptures - ranging from military tanks to animals to airplanes - that sits atop roofs of houses in rural areas of north India's Punjab state. 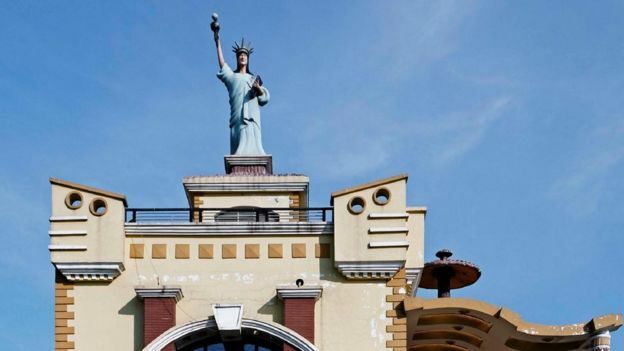 Mr Vora travelled more than 6,000km (3,728 miles) across four districts in the state to photograph the sculptures, introduced to Punjab by immigrants who began building homes in their villages back in the late 1970s. 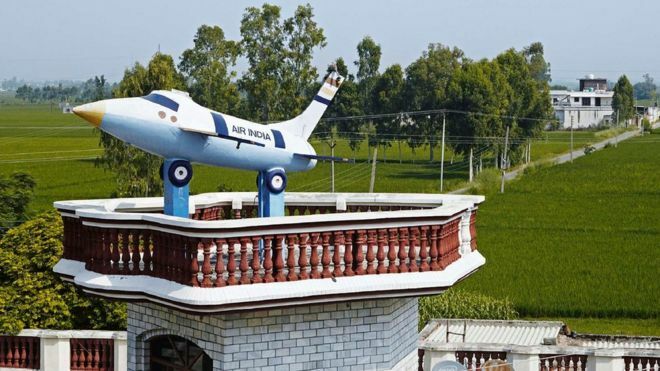 The sculptures often represent the aspirations of their owners, along with some elements of their personal history, which is why airplanes were often a common theme. The photographs are being displayed in an exhibition called "Everyday Baroque", organised by Delhi-based Photoink.